Dental Assisting is a fast-paced, dynamic field. Continuing Education courses, such as those listed here, help us stay up to date with the most advanced techniques and treatments for our patients. If you don’t see a course here that interests you, visit our Local Affiliates page and click on the map to learn more about our representatives in each part of Michigan. Many of our local affiliates offer educational opportunities. WHEN: Tuesday, February 19, 2019, 7:00 p.m. to 9:30 p.m.
For more information or to register, please download our flyer here. 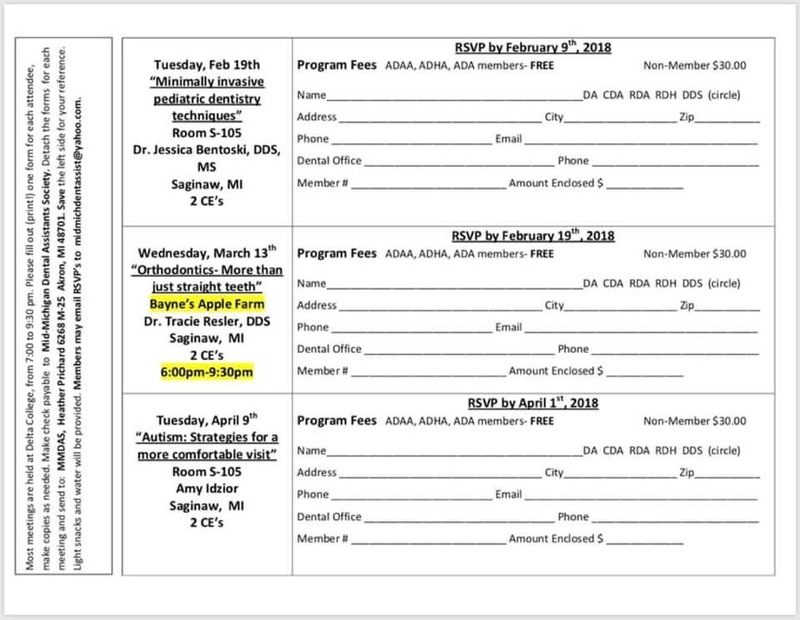 Please join the Macomb Dental Assistants Society for an evening of CE with Diana Lince of Kerr presenting an update on composites and Kathy Allen giving an Infection Control presentation. Our meeting is scheduled for Thursday, March 7, 2019. Registration will begin at 6pm. There will be pizza, salad and refreshments. The seminar will be at Olson Dental Lab on 19 mile Rd. Please use the employee entrance at the rear of the building. 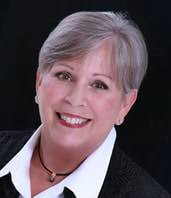 Please send registrations to MDAS President, Laurel Fowler. Registration is free for MDAS dues-paying members (please include ADAA member number) and $20 for all others. The MDAS is an approved provider of CE by the State of Michigan Board of Dentistry. All dental professionals seeking continuing education are welcome. 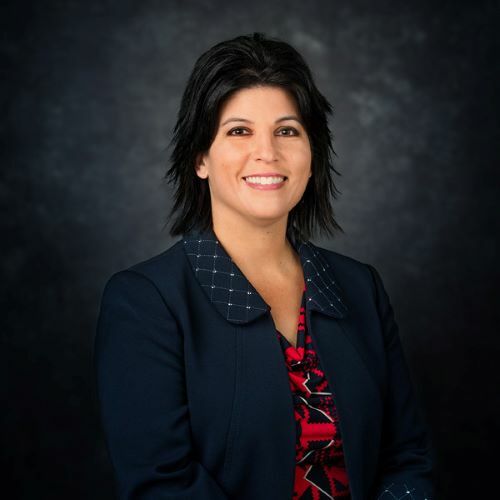 WHEN: Wednesday, March 13, 2019, 5:15 p.m. to 8:30 p.m.
Dr. Julianna Hukill is a native of California and started her undergraduate education at California State Hayward and California State Stanislaus and completed her Dental School education at Iowa State University. She did her Oral Surgery Residence at Henry Ford Hospital in Detroit, completing it in 2001 and has been Nationally Board Certified in Oral and Maxillofacial Surgery since 2001. She has worked in private practice for 17 years. Dr. Hukill is a member of ADA and MDA as well as the American Association of Oral and Maxillofacial Surgeons, the American College of Oral and Maxillofacial Surgeons, Fellow of the American Board of Oral and Maxillofacial Surgeons, Michigan Society of Oral and Maxillofacial Surgeons, the American Academy of Implant Dentistry, Detroit Academy of Oral Surgeons and the Chalmers Lyons Oral Surgery Group. Facial Trauma – An anatomical overview, facial skeletal trauma classification, diagnosis of facial trauma, and the sequencing of facial trauma treatment. Oral Nasal Fistula – Diagnosis, treatment options, surgery approaches and anatomical considerations. Orthognathic Surgery – Diagnosis, surgical work-up and surgical options and approaches. WHEN: Wednesday, March 13, 2019, 6:00 p.m. to 9:30 p.m. WHEN: Tuesday, April 9, 2019, 7:00 p.m. to 9:30 p.m.